It’s only 5 days until the Jeep Portsea Polo; an iconic Melbourne Event that marks the real start of Summer’s social calendar. The dress code is relaxed but stylish. 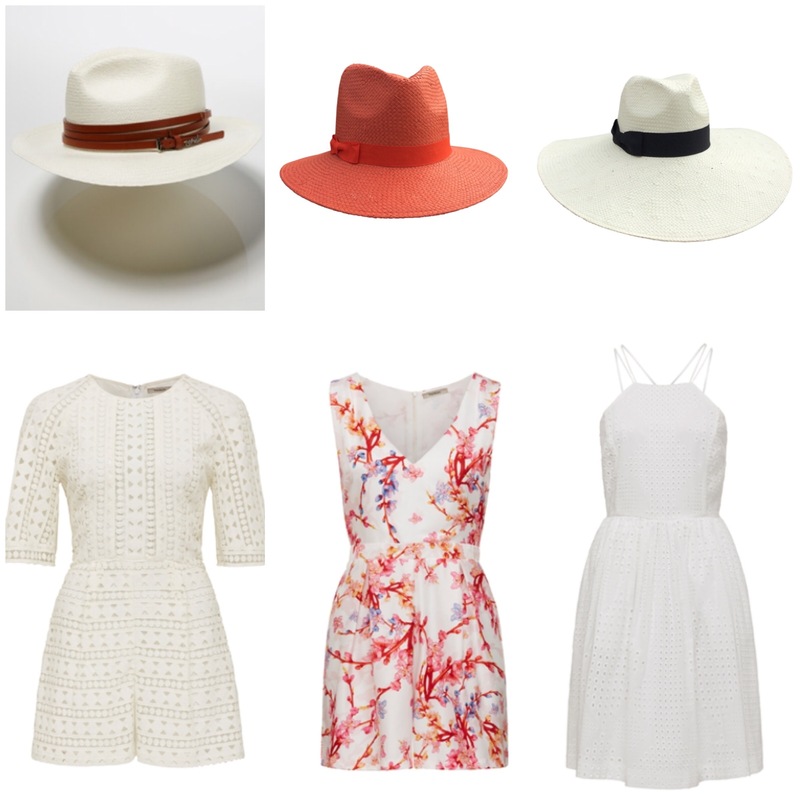 The Panama and Fedora’s that are popular this Summer are perfect for a day at the polo. Not only do they look good, they protect your skin from the harsh January Sun. Nerida Winter has some amazing Fedora’s and Boaters available. You pay a little more for the attention to detail that make these investment pieces. For a moderately priced alternative Ace of Something have a beautiful selection including soft pastels and wide brim varieties. When wearing a brimmed hat it is all about proportion. An easy rule to remember is – the more skin the wider the brim. A wide brim adds elegance to a shoulder bearing dress or plunging neckline. A smaller brim is great if you’re wearing a higher neckline, adding an element of fun while showing more of your face and hair. Hair and makeup should be natural at the Polo and works perfectly with these hats. If you decide you want a pop of colour add a great pink or red to your lips with bare eyes and bronzed cheeks. Pair them with a great Romper, some Broderie Anglaise or floral Onsie by Thurley and you are ready for a day by the sea. So summer begins…next the Austrailan Open!